When you find that piece of content that you really want to savor, you don't want to be distracted by having to navigate your screen. 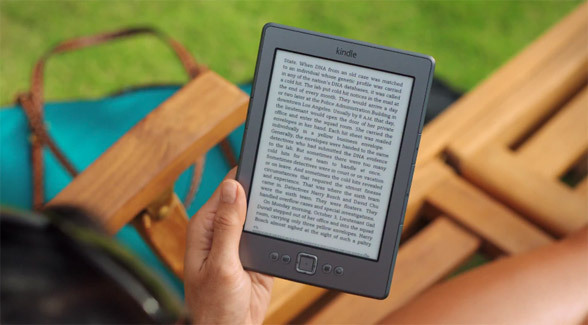 If you are reading this article on a touch based device, like an iPhone, iPad, Nexus 7, Galaxy III, Windows Mobile or any other device, you can now read this article as if it was an ebook. One of the great things about ebooks is how effortlessly you can read them, and this illustrates the problem with touch based devices. Touch is a great feature. It is about a million times better than using a stylus, and a bazillion times better than a mouse - especially when you are holding your device in your hand. You can scroll, move, pinch, zoom, swipe, drag, shuffle, (and more) all without even thinking about it. This is great, but there is a problem with touch based devices. You have to hold the device with one hand, while doing all the touch based interaction with the other. This is great when you are just using it in an active way to explore your world. For example, looking up tweets, browsing your Google+ stream, flipping pages in Flipboard ...all of this works fine. The active behavior of those tasks fits well into the two-hand, touch based, lean-forward mode. Yet once you find something you like, such as a long-form article, this scrolling behavior becomes a bit of a problem. For instance, if you are reading my article about the future of books (which is 27 pages long) on the new Nexus 7 tablet, you have to scroll down 28 times. So this where ebooks comes into play. They have the best long-form reading experience of all. When you are reading an ebook, you move from a lean-forward mode and into a lean-back mode. When you hold your tablet in one hand, look where your thumb is? Yes, it's right next to the screen. So all you have to do to move from one page to the next, is slightly move your thumb and gently tap the screen. This is about a million times better than having to scroll down the page, either by trying to do some fancy thumb movement, or using your other hand. The problem of course, with ebooks, is the limitation of the page. I wrote about this yesterday in how the format of a page limits your content. You don't want that. 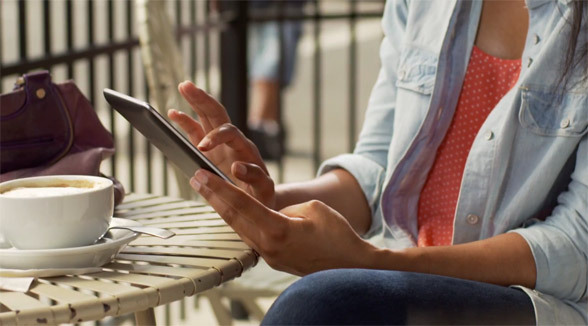 What we need is the easy and effortless, lean-back reading experience of ebooks, combined with the endless flexibility of the web and an infinitely scrolling page. And that is exactly how you can now read all the articles on this site. Instead of paging from one page to the next, tapping the screen now fluidly scrolls the page down to the next part. You can still scroll like you would normally, and you can still navigate the way you have always done, but what's new is the touch-tab that lets you read any article like an ebook. Grab a cup of coffee, lean-back and make yourself comfortable. 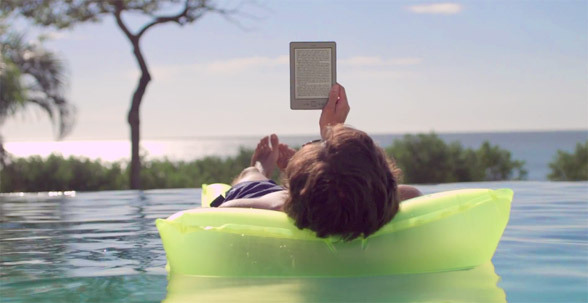 Head over to "The Future of Books in 2015" (free link, just this once), hold the tablet in one hand like you would when reading an ebook, and just gently tap the screen instead of scrolling down. If an image is 'cut', just scroll up or down to see it, and then continue reading by tapping the screen with your thumb. There are no pages, no limits, and no formats. It's just an endless page that you can relax and enjoy, just as if it were an ebook. There is a time and a place for everything. Touch gestures like swiping, scrolling, pinching, and navigating are all great for many things. But when you find that piece of content that you really want to savor, you don't want to be distracted by having to navigate your screen. You really just want to lean-back and immerse yourself in the story.